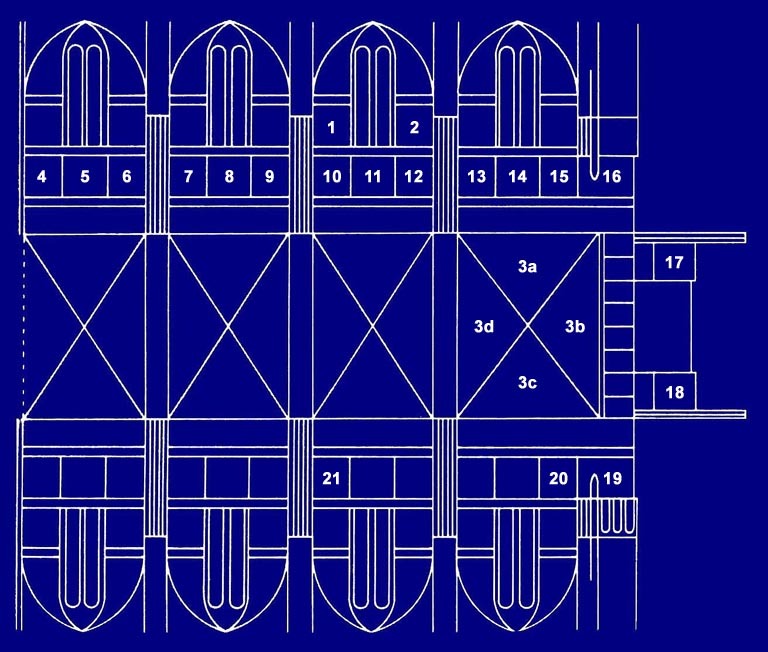 Map of the Upper Church of the Basilica of St. Francis in Assisi. The numbers correspond to the placement of the frescoes. Click to access the pages of relative information. I numeri corrispondono alla collocazione degli affreschi. Clicca su per entrare nelle pagine delle relative schede.